Since its founding in 1994, Tocca has become a great company now. By producing beautiful wearable products, Tocca aims to surprise and inspire. 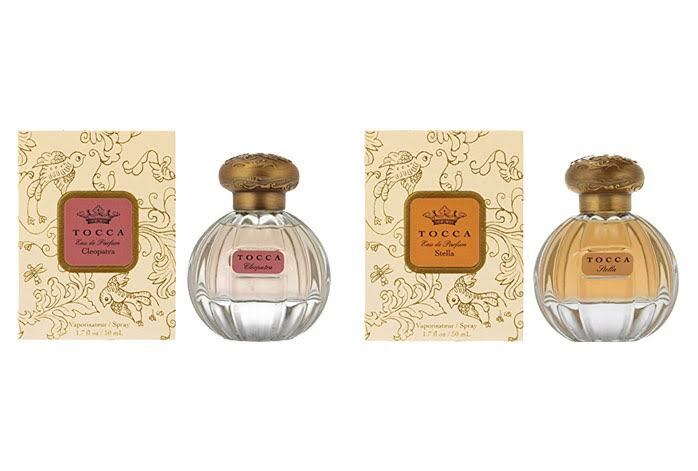 Now, there are two extremely popular perfumes by Tocca on the market: Tocca Cleopatra and Tocca Stella. Since these two fragrances are available in the same price range, they often become the primary choices of many women. If you want to know what the differences are between Tocca Cleopatra and Tocca Stella, continue reading below! Tocca Cleopatra, launched in 2007, is an oriental and floral fragrance for women. It delivers an intense, warm, and sweet floral scent. Tocca Cleopatra opens with a refreshing combination of grapefruit, black currant, cassis, and green notes. It then transforms into the sweet floral heart notes of jasmine and peach. Solid notes of musk and patchouli, supported by amber and vanilla, provides a good degree of warmth. Tocca Cleopatra doesn’t have a very strong silage. Instead, it is rather moderate. It also has moderate longevity. On the other hand, Tocca Stella is more of a floral and fruity fragrance. It was first launched in 2006. Tocca Stella uniquely opens with a sweet and sour refreshing opening. This is the result of the top notes which combine blood orange, bitter orange, and watery notes, creating such a unique fingerprint. It then delivers the sweet floral heart notes of lily, freesia, and wild orchid. The base notes are sandalwood and musk; the combination is pretty solid, warm and woody. Tocca Stella also has somehow moderate silage and longevity, but, due to being less intense, it seems to be slightly weaker than Tocca Cleopatra. Both Tocca Cleopatra and Tocca Stella are great perfumes on their own rights. If you prefer an oriental, intense and warm scent, Tocca Cleopatra is the way to go. If you prefer a refreshing citrusy scent, Tocca Stella should be your choice!